The Sims Team has confirmed that The Sims 4 Get to Work will indeed come to Xbox One and PS4 on March 20th. We’re excited to announce that The Sims 4TM Get to Work* expansion pack is coming to Xbox One and PlayStation 4 on March 20, 2018. With three brand new active careers, and so much more, there are plenty of ways for you to build your Sims’ careers and earn Simoleons. There’s loads to discover in The Sims 4 Get to Work, so let’s start with five fun features that will have you clocked in on this pack. An Emergency Room – of Fun! 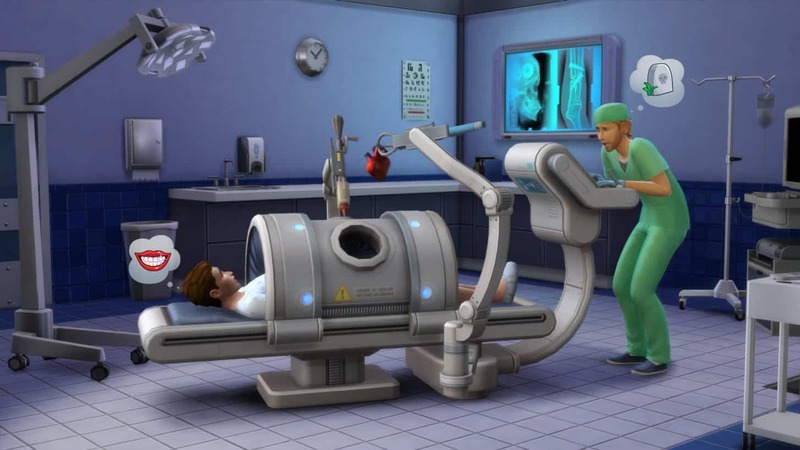 Your Sims can now spend their days saving lives, treating patients, performing emergency surgery, and being an overall hero. Plus, they can even deliver babies. Dr. Sim, report to the operating room, stat! Grab your badge and become a detective! Study crime scenes, interrogate Sims, and arrest criminals while you work your way from Cadet all the way up to the Chief of Police. Scientist Sims spend their days dreaming up crazy inventions and collecting unique specimens for diabolical creations like the Sim Ray. Like every moral scientific dilemma, your Sims can decide to use their inventions to help – or torment – their fellow Sims. Muahaha! Start something awesome like a bakery, clothing boutique, art gallery, or bookstore. Customize every facet of your business with Build Mode, then select what items to sell, manage your employees, and even upsell customers. Cha-ching! 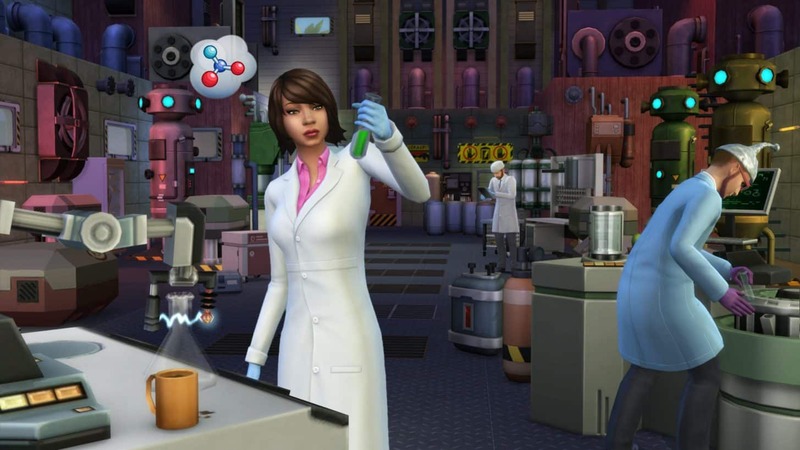 Unique career venues and neighborhoods like the Hospital, Police Station, and Science Lab are fully stocked with a variety of objects to help your Sims achieve their professional dreams! The Retail District will be the hub for all the businesses you’ve created, and where Sims will flock to spend their hard-earned Simoleans. We can’t keep this one a secret. Aliens have landed and walk amongst us. With this expansion pack, you’ll find out which Sims are truly out of this world, and discover the mysterious alien dimension! Get ready to rule the workplace and make your Sims seriously successful! The Sims 4 Get to Work is coming out March 20, 2018 on Xbox and PlayStation 4.